Ghosts, serial killers, zombies, and vampire are gather round to scare the bajeezus out of us all for 31 days straight every year. But what if we don’t want to be scared? I’m not ashamed to admit that my Halloween celebration revolves more around eating candy until I throw up and watching It’s the Great Pumpkin, Charlie Brown just as it did when I was seven. All Hallows Eve doesn’t have to mean sleeping every night with the lights on. So to ease the anxiety of my fellow scaredy cats, I’ve gathered a list (in no particular order) of some of the best Halloween movies for kids (and cowards). Someone’s lit the black flame candle and that can only mean one thing, the Sanderson sisters are back. 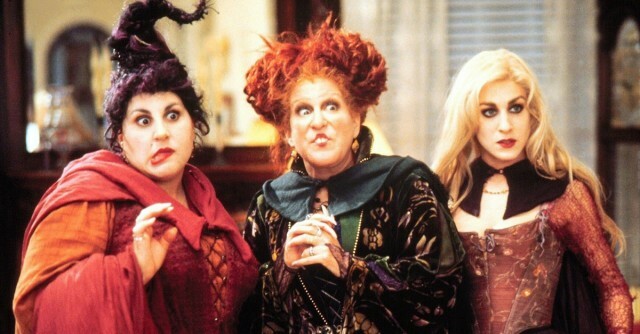 Since 1993 Hocus Pocus has only continued to cement its status as a cult favorite, featuring our favorite, soul sucking witches and the talking cat who can’t die. I will warn you though, once you watch this movie you might be in danger of having “I Put A Spell On You” stuck in your head for hours. Some scenes might be a little intense for the young ones, but tweens are sure to be asking their two best friends to grab their brooms and go as the Sandersoon sisters this year for trick-or-treat. In 1995 Universal Pictures brought us a big screen adaptation of everyone’s favorite ghost, Casper along with his zany uncles, Stretch, Stinkie, and Fatso. Christina Ricci and Bill Pullman play a father/daughter duo who travel the country advertising their ability to help ghosts move on to the afterlife. 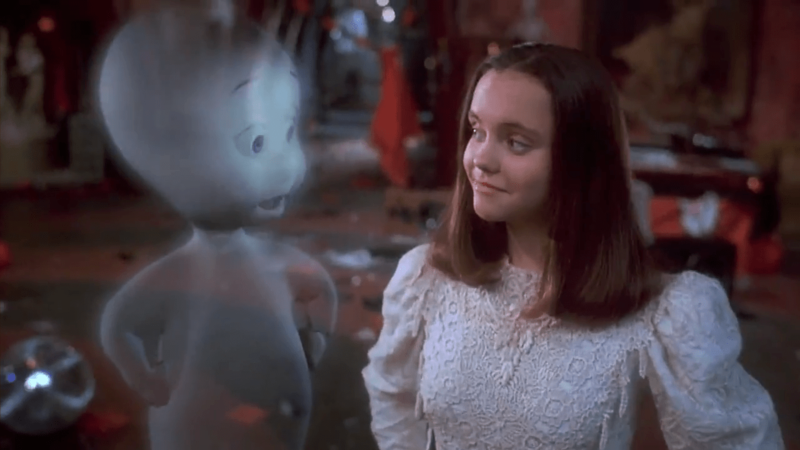 Casper is the live action movie version of the long running cartoon and comic book series also featuring the friendliest ghost on the block. Halloweentown was originally release as a Disney Channel Original movie on television back in 1998. A teenage girl discovers she is actually a witch from a magical town that houses all sorts of supernatural creatures. 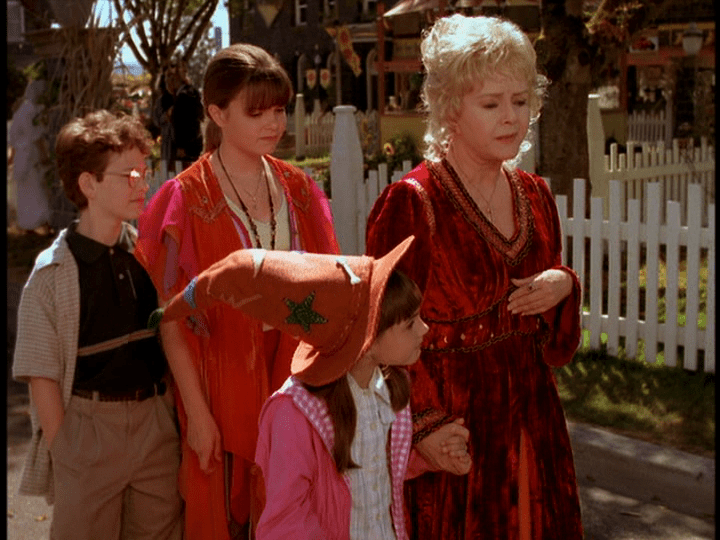 Fans of Debbie Reynolds will get a kick out of seeing her as a quirky, witchy grandmother trying to solve a series of Halloweentown local disappearances. The cheese factor is ramped up to the max with this one, but that’s what makes it so much fun. Plus if you enjoy this one you’ll be happy to know there are three more sequels to devour. Christina Ricci was no stranger to the Halloween movie during the 90s, her most famous role being that of Wednesday Addams in The Addams Family and Addams Family Values. 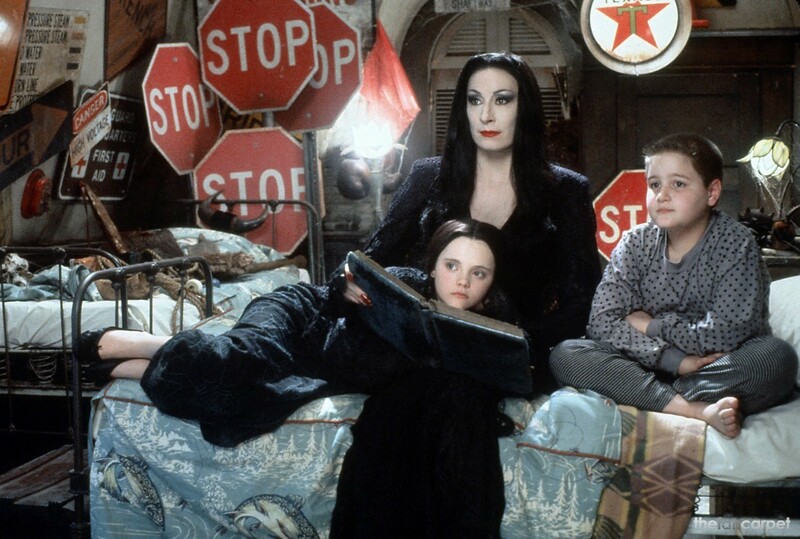 Like the previous entry featuring Ricci, The Addams Family is a big screen adaptation of a cartoon. What makes this one so delightful is that it relishes in its utter weirdness, as it boasts a Halloween-like atmosphere as one eccentric family’s everyday lifestyle. And believe it or not, they’re surprisingly functional. 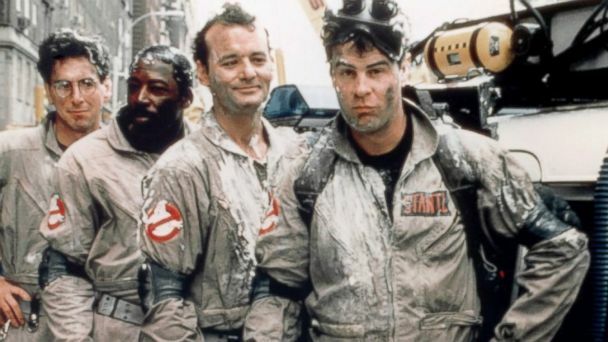 Thirty years after its initial release, Ghostbusters remains not only a seasonal favorite, but a supernova of the supernatural family friendly film genre that can be appreciate year-round. Bill Murray and crew will leave you in stitches as the hunt down the baddies that haunt New York City. Although its visual effects haven’t held up to its Oscar nominations in 1984, as the years have gone by this movie has only become more charming than ever. That theme song sure is catchy too. Let’s take a break from the late 80s and early 90s to appreciate some of the more modern movies that have earned their sport among the kid-friendly prestige. The Oscar nominated ParaNorman uses 3-D stopmotion animation to give us the story of a boy who tries to defend his town against ghosts, zombies, and all things undead. This one features some jumpy moments for the young ones, but both kids and adults are sure to enjoy the nonstop adventures in this gorgeously animated film. 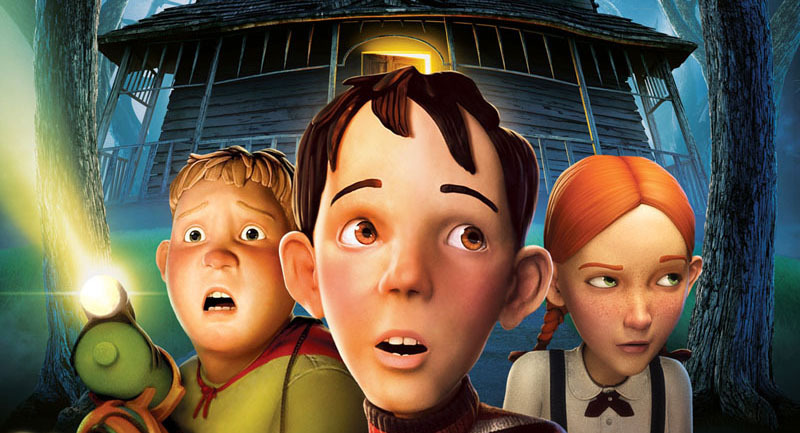 Another recent animated Halloween hit featuring kids who try to face their fears is 2006’s Monster House, featuring some heavy star caliber voices such as Steve Buscemi, Nick Canon, and Maggie Gyllenhaal. This is one of the most adult-friendly animated films I’ve ever seen, chalk full of mature wise cracks that will soar over kid’s heads and make their parents chuckle. It also has a carefully crafted story that will keep both young and old audiences on the edge of their seat. Give it a few years, this one will be a classic someday. A Halloween list wouldn’t be complete without the addition of a couple of Tim Burton’s finest. 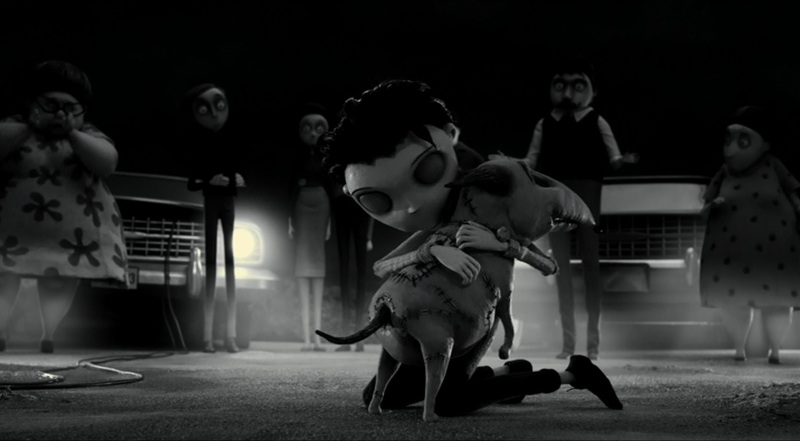 2012’s Frankenweenie is a stop-motion animation filmed in black and white and released in 3D. The smart, emotional screenplay with its humor adds an additional unique element to this tale of a boy and the love he has for his dog. Although Tim Burton’s oddball tales can sometimes be hit or miss, this one is a bullseye, and his best since our next entry. Does anyone remember that one time Howie Mandel played a blue monster with horns who lived under Fred Savage’s bed. Sounds terrifying, right? It has it’s moments, but Little Monsters is actually more of a comedy than anything else. This one’s not really Halloween specific, and it’s not really an example of any kind of great filmmaking, but it’s a blast. A rocking, 80s blast. No Halloween list is ever complete without the Tim Burton classic feature one of the most iconic Halloween characters of all time, Jack Skellington, a man who is the King of Halloween but somehow wants something more. 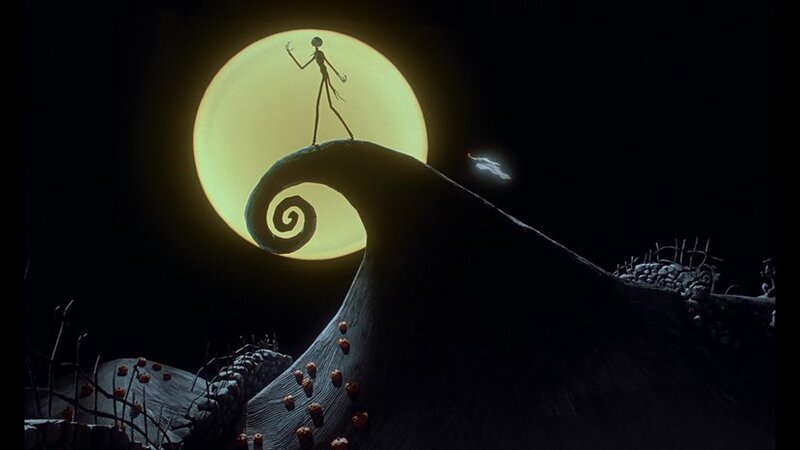 The Nightmare Before Christmas is as original as they come, a timeless representation of our desire for movies to transport us somewhere else. The stop-motion animation is outstanding, and the best part is, the subject matter give you an excuse to watch it during not one, but two holidays.